For additional information on treatment options, please click here. 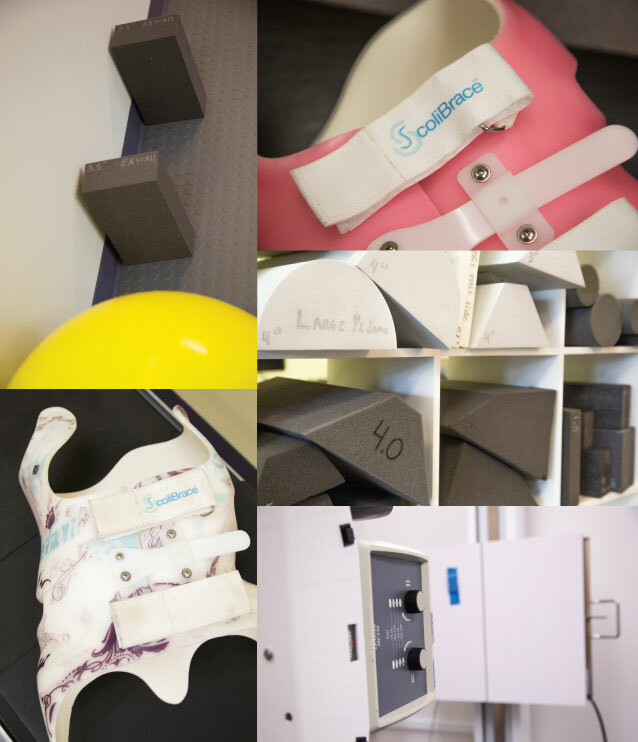 For additional information on scoliosis bracing, and the effectiveness of the ScoliBrace, please click here. State of the art bracing and corrective programs. Do you have questions about our personalized scoliosis treatment options, ScoliCare, or anything else about our clinic? Contact us today and let us help you answer your questions. Scoliosis describes a lateral curve of the spine, including some verterbral rotation. Although most curves are small, some can be progressive and lead to spinal and postural deformities and sometimes pain in later life. There are genetic risk factors for scoliosis, but there are no confirmed cause of scoliosis development. Poor posture, carrying backpacks, and choice of mattress have not been shown to cause nor influence scoliosis. Q. Why should children be screened for Scoliosis? Scoliosis often develops rapidly in pre-adolescence or adolescence. The condition is usuually painless, so there may be no symptoms to indicate a developing scoliosis. Pre-teens and teens often favour loose clothing which may conceal visual indications of a scoliosis. Q. When should children be screened for Scoliosis? Girls should be first checked around 10-12 years old. Boys should be first checked around 11-13 years old. Earlier detection and intervention has been shown to lead to better long term outcomes for the patient. Q. How should a Scoliosis screening be carried out? Ideally a scoliometer should be used to measure the Angle of Trunk Rotation (ATR). A trained Health Professional can administer a scoliosis screening, looking for clinical indication of scoliosis in the patient’s posture. If signs are detected, further investigation including X-Ray imaging may be recommended to confirm their findings. Q, Is there a way to prevent Scoliosis? There is no known way to prevent a scoliosis from developing. The best known ways to prevent a scoliosis from worsening are early detection and prompt treatment. Q. Can manual and complementary therapies help treat scoliosis? Complementary treatment may play an important role though in addressing the ongoing health needs of a patient with scoliosis, however there are limitations. These approaches may give pain relief, improve movement and help general posture and strength. These treatments should be encouraged if they help an individual patient deal with specific pain, posture or mobility issues. Q. Does exercise help, prevent or improve Scolisis? Standard physical therapy and exercises such as swimming or yoga do not help prevent, correct, nor stop the progression of scoliosis. However, there are special exercise and rehabilitation programs which have been designed to address the scoliosis curve and these have shown to be very effective in certain cases. 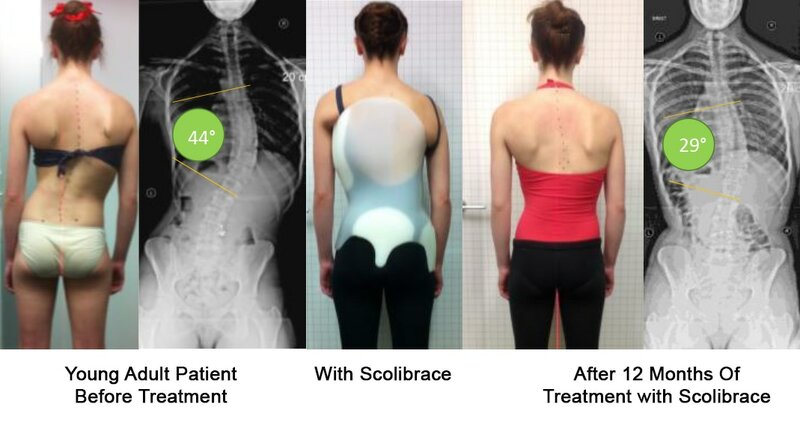 When specialized scoliosis rehabilitation and exercise programs have been used in conjunction with bracing it has improved the results of hard bracing. Learn more about the role of exercise and rehabilitation in scoliosis treatment: What is SEAS? Q. Does having a scoliosis prevent women from becoming pregnant or having children? No. However, it is imperative to have children checked regularly if a parent or family member has scoliosis. Q. What do I do if a Scoliosis is detected? If a scoliosis is confirmed on X-Ray, an MRI may be recommended to rule out rare complications. For mild curves, observation or scoliosis rehabilitation may be indicated. For moderate curves, scoliosis bracing may be recommended. For severe curves, a surgical consultation is often necessary. doTERRA Essential Oils will be used during your office visits. Specialized treatment for kids and babies. Family affordable care plans available.